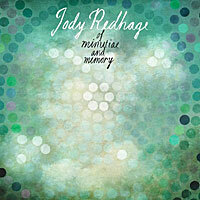 Jody Redhage has been described as New York City’s singing cellist, which obviously means she sings and plays cello. Personally, I’d rather listen to her be quiet, choke her cello and force it to sing, but unfortunately, that’s not what happened on her second CD, of Minutiae and Memory. Instead, I got treated to the next best thing: eight tracks that form a whole album full of lovely chamber + electro-acoustic music. It all brims with such enticing elements as melodic cello lines backed up with a percolating electronic tapestry; breathy vocal gasps all cut up and layered, backed up with a mournful cello sawhorse; straightforward singing of a Norwegian table prayer; lush cello drones with delayed electronics, and ambient outdoor sounds—much of it punctuated with Jody’s clear, melodic singing. When all is said and done, it’s a gorgeous affair. Chalk up another nice one for New Amsterdam. You are currently browsing the Arcane Candy weblog archives for April, 2012.